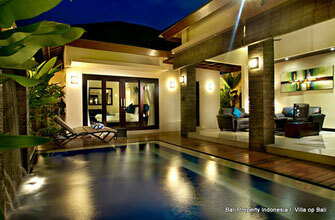 On this page you will find a directory of our properties on offer for sale in Seminyak. To go to the page of the property of your interests, please click on the pictures of that certain property or click on the button that says “More information”. 2 Bedroom villa for sale in a commercial complex in Seminyak. A villa including a rental license and a management. 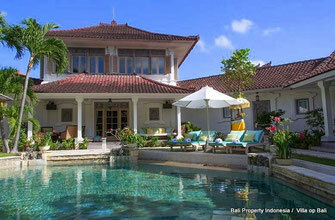 Luxurious 4 bedroom villa for sale in Petitenget, Seminyak. Located just a few minutes walking from Oberoi Eat Street. New Batu Belig 1 bedroom villas for sale. Villas which are meant for the rental market. Guaranteed ROI and buy back option. 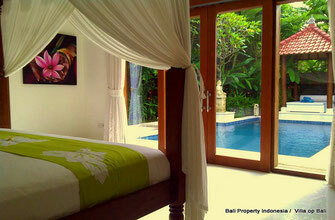 Small cozy 2 bedroom villa for sale in the Mertanadi area in Seminyak. A villa with a swimming pool located in a quiet alley. 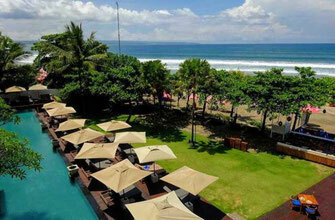 Beautiful spacious beachfront apartment for sale in Seminyak. An apartment located on the 4th floor with free views over the ocean. 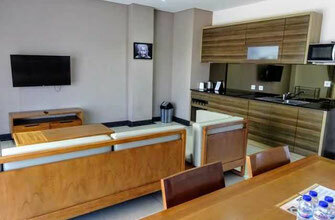 Spacious 2 bedroom apartment for sale in central Kuta. Located in Poppies I. An apartment situated in an hotel complex. On a prime location in Seminyak, walking distance to the “Eat Street” with all its entertainment, a gorgeous 5 bedroom villa. Luxurious Private Hotel Villa with all the services of a larger hotel. To obtain as a business or make it your own private villa. 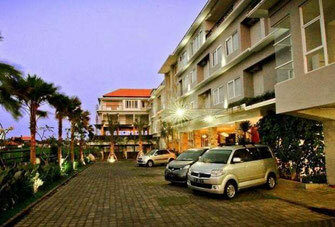 Located in a private complex in one of the main streets in Seminyak. A perfect property to rent out or to stay yourself sometimes. On offer for sale, an operational private villa resort center Seminyak offering you 3x four bedroom villas and 1x one bedroom villa. 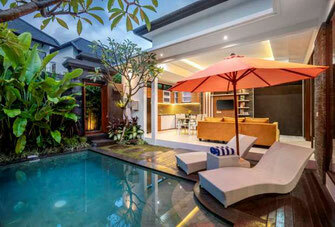 This 3 bedroom villa located in the heart of Seminyak has a rental license, a so called Pondok Wisata. A two bedroom single level villa with all the luxurious features you need, ready to rent out, including a rental license.